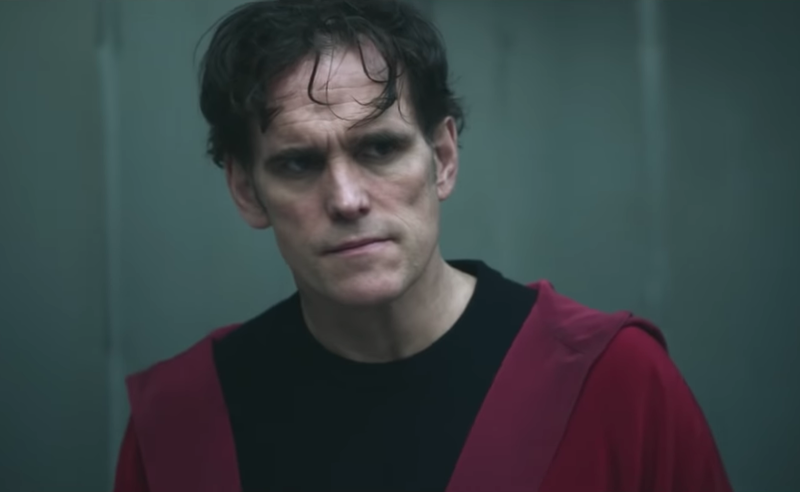 The uncensored director’s cut of Lars von Trier’s controversial serial-killer movie, „The House That Jack Built,“ will be released for one night only on November 26. The film prompted over 100 people to walk out during the Cannes Film Festival this year because of its graphic depiction of violence against women and children. The uncensored director’s cut of the controversial serial-killer movie that caused uproar at this year’s Cannes Film Festival is getting a theater release for one night only this month. Director Lars von Trier’s „The House that Jack Built,“ starring Matt Dillon as a twisted murderer, prompted at least 100 people to walk out of the film at Cannes during its premiere in May because of its grotesque depiction of violence against women and children, particularly a scene in which two small kids‘ heads are blown off by a hunting rifle. According to Indiewire, that uncut version will be released to theaters for just one night on November 28, while an edited, R-rated cut will be released on December 14. Von Trier doesn’t mind the controversy and has even welcomed it, as posters for the film released in September showed people contorted into disturbing positions, including actress Uma Thurman, who also stars as one of Jack’s many victims.